Count It: How Many Are There? How many Christmas stockings do you see? How many pumpkins? 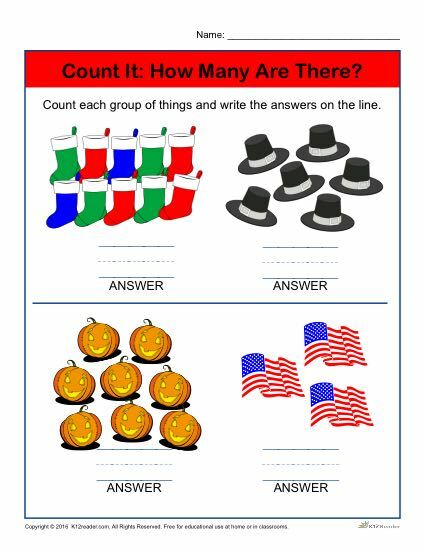 Practice counting with this holiday themed Pre-Kindergarten activity. This is a great resource for getting your Pre-K students engaged in the classroom as they learn how to count. Ideal for Pre-K, but can be used where appropriate.